Could Your Fat Tissue Save A Life? Home » Cancer » Prevention » Could Your Fat Tissue Save A Life? 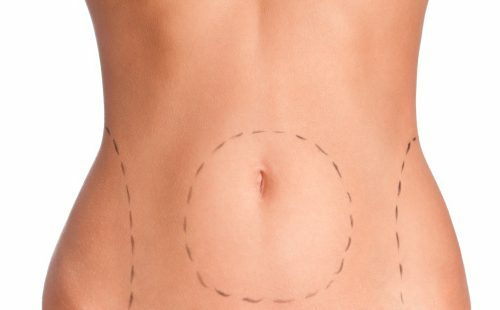 If you’ve ever considered liposuction to remove excess fat tissue, you may be shocked to discover that you could potentially be saving a life. Researchers at UCLA made an incredible – albeit, accidental – discovery about fat tissue, after examining the (normally discarded) remains of several liposuction surgeries. It turns out that fat tissue contains a precious and life-saving gem – stem cells, infant cells that are increasingly being used in the medical community to reverse serious degenerative diseases. But the stem cells discovered by the UCLA researchers weren’t just “ordinary” stem cells. Further investigation revealed that these fat-derived cells are a specialized and rare form of stem cell that may have the potential to regenerate almost any type of tissue in the human body. Most stem cells found in adults are multipotent, meaning that they can develop into different types of cells within the body. However, researchers from the UCLA Department of Obstetrics and Gynecology were able to isolate a new type of primitive, stress-resistant human pluripotent stem cell in fat tissue. These stem cells are called multi-lineage stress-enduring stem cells from adipose tissue (Muse-AT). They are special because they can differentiate into virtually any type of cell in the body, including muscle, fat, bone, cardiac, neuronal and liver cells, without being genetically modified. After these stem cells were examined, it was confirmed that they had the proper genetic characteristics and specialized functions of each type of cell. They found that the cells were able to regenerate tissue when they were transplanted into the body. Additionally, the researchers were able to isolate these special stem cells simply and efficiently, using a method that takes approximately six hours from the time that the fat tissue is harvested. Prior to this research, the only known source of pluripotent stem cells were in human embryos and cells that were transformed into pluripotent stem cells. Stem cell research utilizing human embryos is a highly controversial topic, whereas research using stem cells from fat tissue doesn’t invoke the same controversial reaction. Additionally, the two known sources of pluripotent cells both show an uncontrolled ability to differentiate and grow, potentially causing the development of unwanted teratomas (tumors). Further research is needed on Muse-AT stem cells, to determine if they can avoid the development of teratomas. If the cell differentiation can be controlled as pluripotent stem cells, they will prove to be even more beneficial to the scientific community. Future research of Muse-AT stem cells may even enlighten researchers about the nature of cancer cells, as they too are stress-resistant cells. Additionally, the researchers hope to use these cells to regenerate damaged tissue in animals, in an effort to learn how the cells grow and perform in a mammal’s body. This will help to determine if and how they can be used in the field of human regenerative medicine in the future. While additional research is definitely warranted on these new Muse-AT stem cells, the discovery of these specialized cells in such a readily available tissue is promising for the future of regenerative medicine. For the time being, researchers will be better able to understand cancer and other diseases using these pluripotent stem cells from fat tissue, which may help to develop preventative and treatment options for devastating diseases.